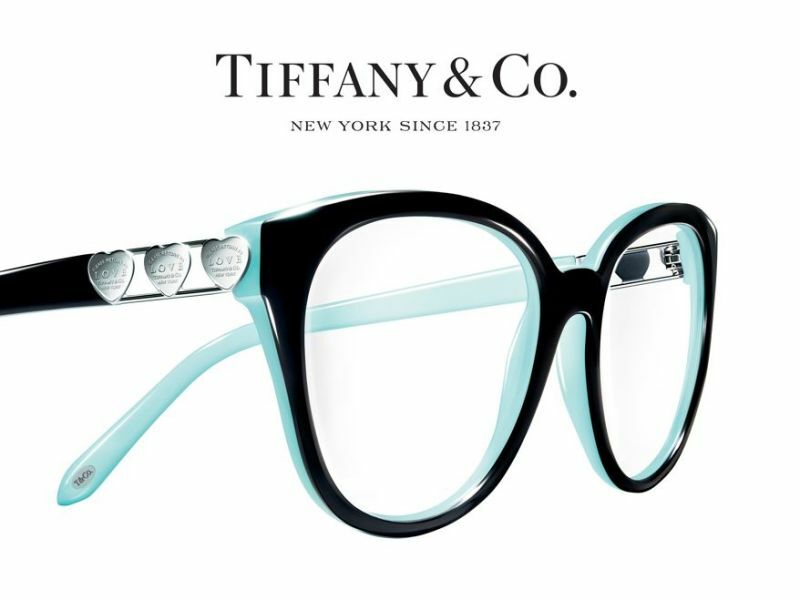 Marlow are over the moon to welcome Tiffany frames into the branch as their newest brand! With over 180 years’ worth of experience in the jewellery industry, Tiffany are renowned for their fashion-forward yet elegant items of jewellery, all wrapped up in their signature blue. 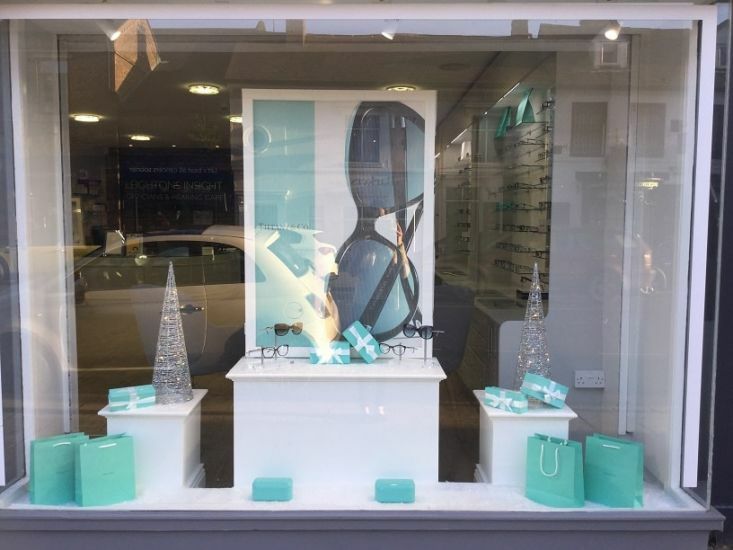 They have taken the staple elements of what makes their jewellery beautiful and turned it in to contemporary eyewear, now gracing the window of Leightons Insight Marlow! And how beautiful does their Christmas window display look?! "I have been a customer of Insight with Martin always providing 1st class service and advice. Continued with same professional approach and my complete faith with following him to Leightons. John the technician has been superb, caring, kind and helpful with advice from choosing frames, fitting and exceeded expectation. Thank you both so very much." "Very pleased with the way my eye test was conducted and the clear explanation/discussion re my changes. The frame selection process was carried out with good humour and careful measurement for bifocals. Frame choice good, with good advice. I thought I had not received the frames I had chosen. The situation handled very well by the staff member - a key to customer loyalty." "I experienced a friendly atmosphere as soon as I walked in the door. A very professional and thorough service delivered at every stage. 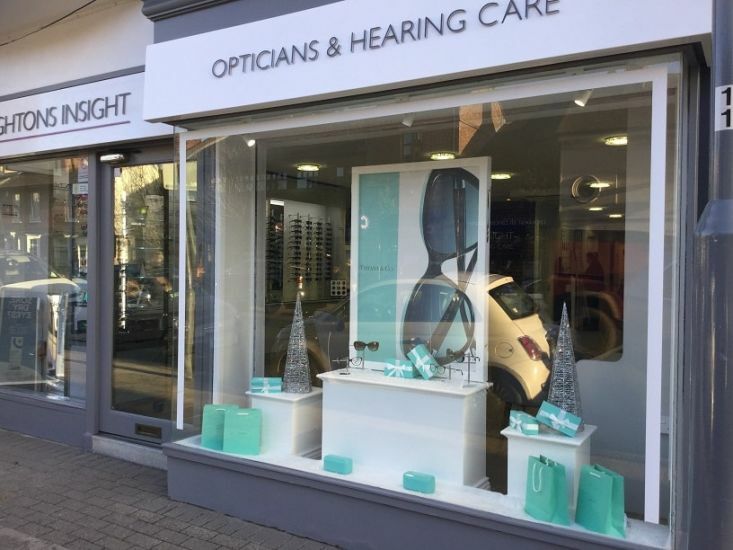 I would recommend Leightons to everyone for both contact lenses and glasses." "Fantastic! My 5 year old daughter requires glasses and John has been amazing, so much so that I have changed to use Leightons as well. My optician was great and yet again John picked me some great glasses and was so much fun. Real customer service!"